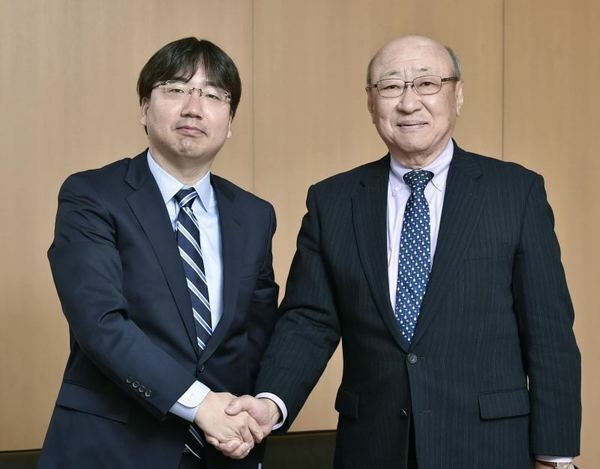 Shuntaro Furukawa has officially been sworn in as the sixth Nintendo Global President and CEO today, succeeding Tatsumi Kimishima. Furukawa’s appointment was approved at the 78th general meeting of shareholders. Here’s what Shuntaro Furukawa and Tatsumi Kimishima have to say. I will now be taking office as president and will serve as such at all future Board of Directors meetings. As a company, we will continue to change with the times, but no matter what we will continue to be a company that incorporates flexibility and ingenuity into the entertainment we produce – and continue to be devoted to making people smile. I was appointed president due to the sudden passing of our former president, but due to the support of a great deal of good people – including shareholders – the Switch was released without a hitch. I don’t think I could retire at a better time. Thank you very much.